Zeustek is a global IT service provider company. We have been consistently delivering the best services to our clients’. We make use of the latest technologies to achieve these goals. We have a successful record of delivering the best to our clients. And thus our customers have a competitive advantage. 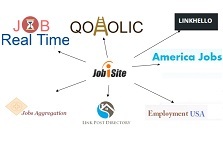 The company has established its name in the field of offshore Application Development. Our Application Development model is a result of various inventions and the product thus delivered not only fulfils clients’ requirements, but also clings to global standards of software engineering. We try hard to deliver superior quality and cost effective Web Design development solutions to our clients. In addition to our Custom website design and development and Online Promotion services, Zeustek provides IT Consultation and SEO Services. Zeustek has a team of experienced professionals, and thus the project failure risk is reduced, and because of the fact the company has build a good reputation in a short span of time. The company delivers cost effective products. Commitment towards quality and the value of the product or the service is one of the important principles. We make use of ethical search engine optimization techniques. All the content generated may be for articles, blogs, press releases etc is manually prepared. We do not make use of automated software’s. We are having various specialists for various tasks, like we have specialist for link building, article writing etc. We are having robust local affiliations. We have an experienced team of professionals, having expertise in internet marketing, social media and much more. We are having strong affiliations with our professionals in the industry.